School holidays are here again and the National Gallery of Victoria is open for the entire Easter season with lots of fun free and interactive events for children of all ages. Let their imaginations run wild while you grab coffee and cake at the gallery cafe – who said school holidays had to be hard? Handcrafted pieces from Australia’s red centre, vibrant pop culture art, an exhibition dedicated entirely to cats, and a fun art party for teens are just a few of the exciting events on NGV’s Easter calendar. Come take a look. 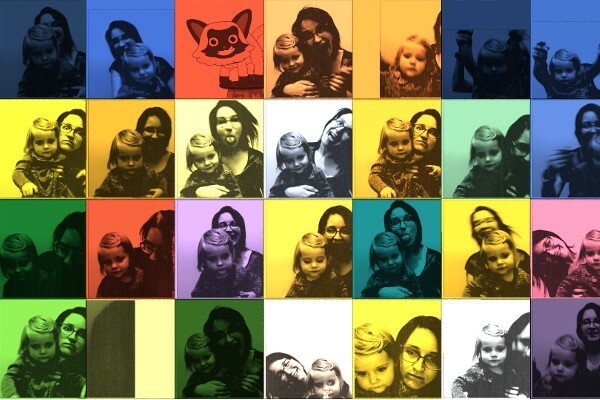 The Andy Warhol and Ai WeiWei exhibition is wonderfully extensive, colourful, and lots of fun for all ages. My toddler adored the rooms full of reflective floating balloons and spent a lot of time lying in bean bags watching projections of Warhol films from The Factory. And that was just in the general section. There is also a free kids exhibition titled Studio Cats with fun photo booths, an endless selection of cat videos, and interactive games. The exhibition is open daily from 10am-5pm until April 24. Australian Rules Football has taken over the NGV! The Hermannsburg Potters belong to a small community 130 kilometres south-west of Alice Springs and are famous for their colourful terracotta pots which tell stories about their culture and where they live. During footy season the Hermannsburg community also get together to watch AFL. 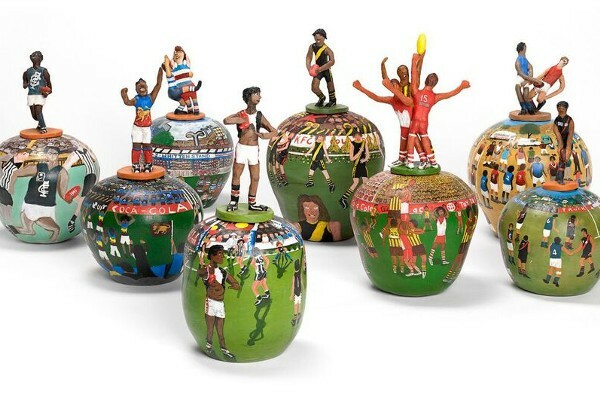 Our Land is Alive includes 20 specially-commissioned large-scale pots depicting some of the AFL’s best and finest Indigenous players from all eighteen teams and a pop-up making activity. 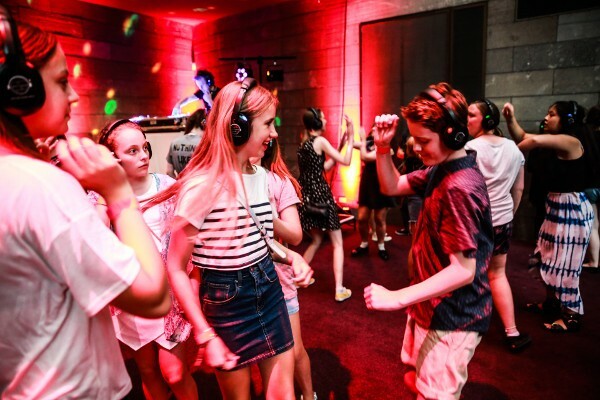 For an extra special experience that older kids will love, the NGV have a full night of art workshops, live music, food, dancing, and access to the Warhol and WeiWei exhibition. The Art Party is a ticketed event for under 18s only and runs from 5:30pm-9:30pm on Thursday, 7 April. Performances include Melbourne chanteuse Ella Thompson, dancing beats from DJ Guy Roseby and workshops with acclaimed local artist Esther Olsson. Check out the NGV website for a full list of Easter events for all the family. A great reason to travel into the heart of Melbourne these school holidays.